I also have a Benchmade strap cutter with sheath. This is also in new condition, but no box. $185 $170 $160 $150 for the knife and $25 for the cutter shipped. PayPal is prefered with PM notification. Price drop, $185 for the pair. 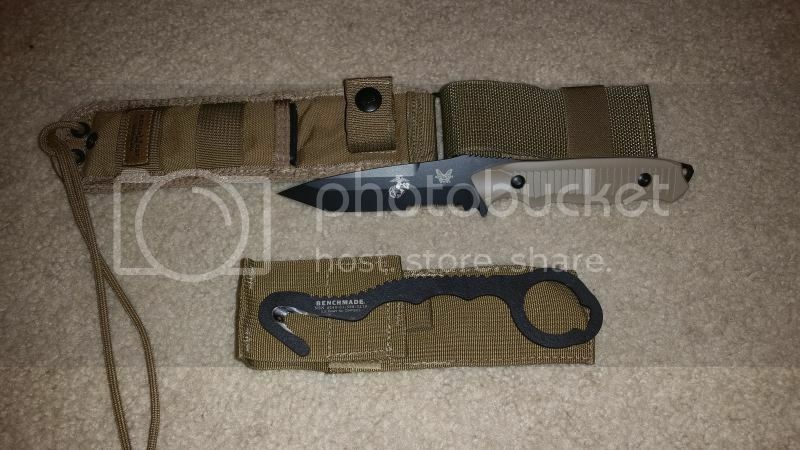 $170 for the knife, $20 for the strap cutter. Price drop, now $160 for a very hard to find knife.